Did I get credited with a stolen base? Garrett asked: I'm playing a baseball game. I'm on first base and my teammate is on third with two outs. The pitcher tries to pick off my teammate, but the throw is wild and my teammates tries to steal home while I steal second. My teammate gets into a pickle and gets out. Am I credited with a stolen base? Rick answered: Garrett, thank you for your question. Rule 9.07 Stolen bases: The official scorer shall credit a stolen base to a runner whenever the runner advances one base unaided by a hit, a putout, an error, a force-out, a fielder's choice, a passed ball, a wild pitch or a balk. Sorry, no stolen base. 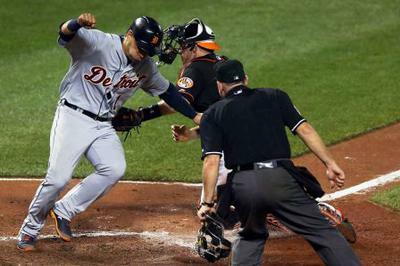 You reached second during a play in which there was a putout recorded, with the runner from third base.